A warm welcome to you... Thanks so much for stopping by, up for auction today is this beautiful 16" inch Primitive Americana Make-Do Uncle Sam just perfect for showing your Patriotic Pride. 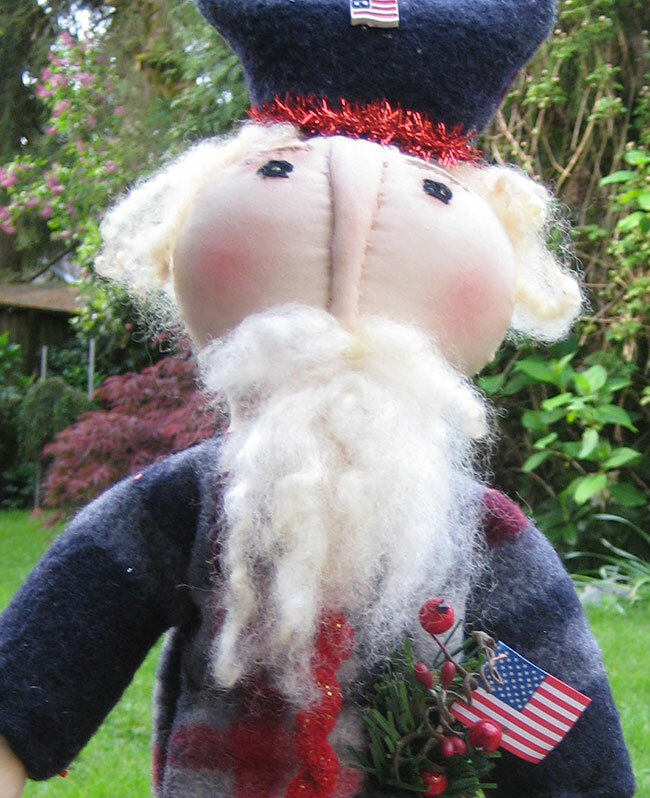 Uncle Sam is made from lightly grunged muslin with a pinched stitched nose, brows and floss eyes. His beard and hair are real sheep's wool. He is securely mounted on an old brass candlestick. His coat is a lovely vintage wool, perfect Americana colors with a rick/rack red trim on the front of his coat with a matching hat. He holds a red star in one hand, inside his pocket is greenery, red pips and a small paper flag. 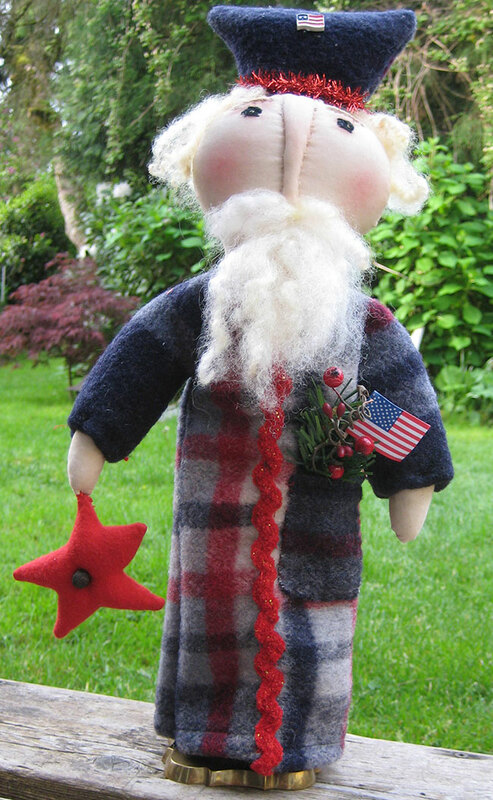 Set this wonderful Uncle Sam on your mantle or shelf/table to enjoy all year long.